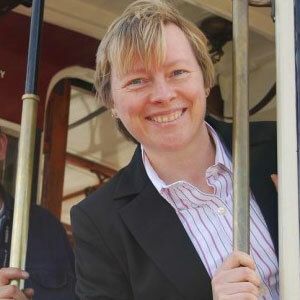 The only openly lesbian woman in parliament, Angela Eagle, is to go head-to-head in a debate with controversial Daily Mail journalist Melanie Phillips at Village Drinks next month. Last month, we revealed that Phillips, known for her strong views on gay marriage and adoption, was to speak at a Village Drinks gay networking event on the current political climate. After our report on the event provoked a strong response from readers, Village Drinks has now invited Eagle, the minister of state for pensions and a keen gay rights activist, to take part in a debate with Phillips on freedom of speech. In the past, Phillips has criticised gay adoption and accused gay rights activists of intolerance towards Christians. Village Drinks co-founder Neil Spring told PinkNews.co.uk: “The announcement of Melanie’s forthcoming attendance at our political event caused quite a stir. To face the issue head on, we have invited Angela, a leading champion of gay rights, to engage face to face with Melanie, in public debate on an issue which means so much to all of us : equality and freedom of speech. “We are very grateful to Angela for accepting the invitation and look forward to what is looking to be a hugely anticipated debate. Due to Eagle’s work commitments, the date of the event has been moved to October 13th and will now be held at Arts Club, Mayfair. The new ticket price is £14.99, including a £1.00 booking fee.